In today’s Fortnite: Battle Royale update, Epic Games added not one, not two, but three new consumable items around the map that all do various things when eaten by your character. 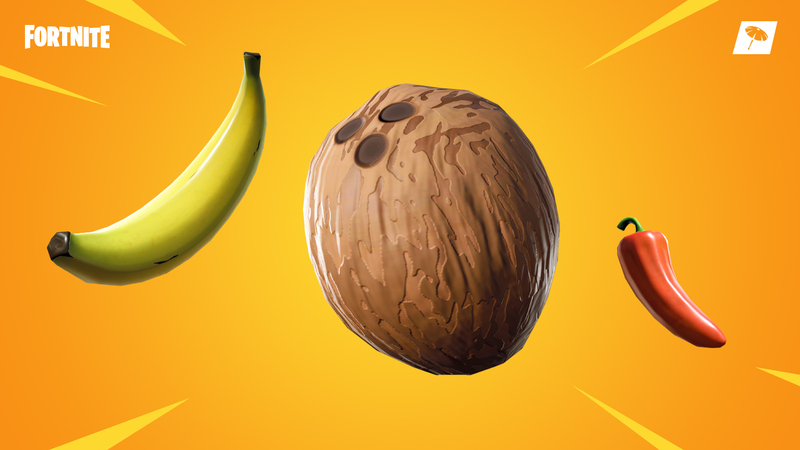 The Coconut gives you five pieces of health (or five points on your shield if your health bar is full), Bananas act just like Apples, restoring five health only, and Peppers revive five pieces of health while also giving you a 20 percent increase in speed. Where on earth do you find these new goodies? Well, let us help you out. Coconuts (Borwn Circle) can be found in both the Tropical and Desert Biomes by hiting the Palm Trees scattered across the map. It isn’t always a guarantee, but it is more than likely to drop when you do. 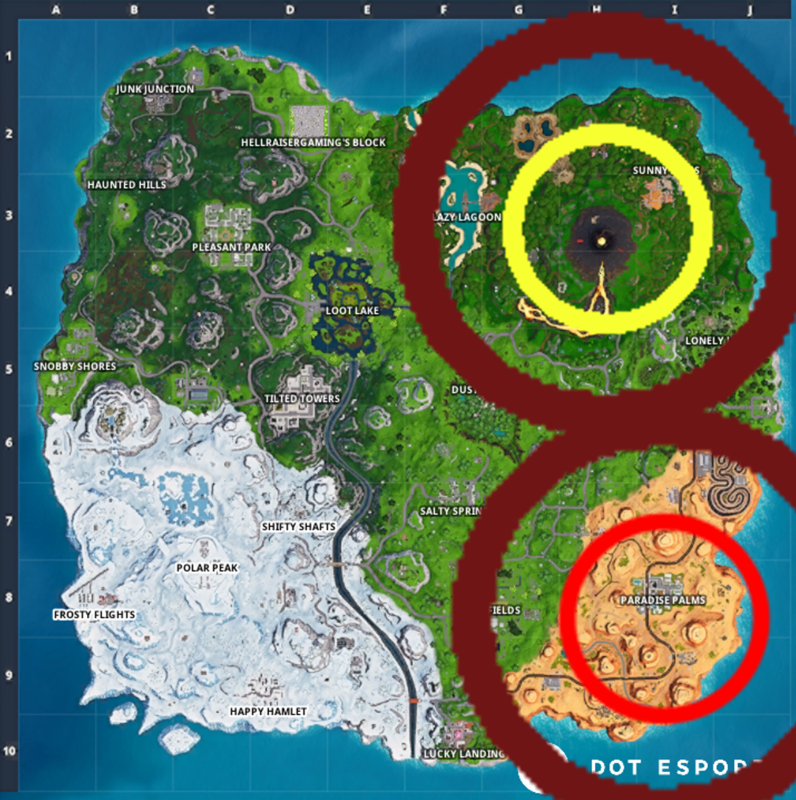 Bananas (Yellow Circle) can only be found in the Tropical part of the map that spawned as part of the Season 8 update. They can be located around short trees with big leaves away from the volcano hidden in the grass. As for Peppers (Red Circle) the last of the new consumable items, they can only be found in the Desert portion in the south-east and are often found on the ground near the grassy areas, towards the center near Paradise Palms. Each consumable won’t always be in the same place and there is no guarantee they will always be there.